"Great Streets Around the World"
This wonderful spot for a promenade acts as a gathering place for locals and visitors who appreciate the beautiful architecture, trees, benches, fountains, and an incredible vista. The street as a whole is greater than the sum of its parts – but its parts are impressive: the architecture is historic and harmonious; mature trees make a shady canopy; a wide walkway follows along a spectacular view; old-fashioned street lights and benches line the street. At one end of the street is Budapest’s palace, which is a major destination for visitors. Go up any side street and there is a quiet restaurant, cafe, or shop. The street is a favorite place to walk or jog on a sunny day to enjoy a breath-taking looking out at the hills behind Budapest. 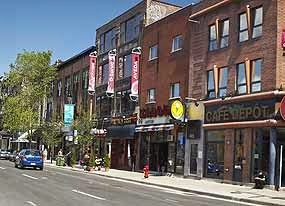 Affectionately known as “The Main,” it bisects Montreal down the middle, linking affluent residential neighborhoods to the north with the garment district, Little Italy, the Plateau district, Chinatown, Vieus (Old) Montreal, and the seaport. Fourteen distinct nationalities call The Main theirs. There are people walking about 24 hours a day, and enjoying the sights and smells of the various cultures that call this street home. It is trendy, eclectic, nostalgic and packed during summer festivals. Summertime is when The Main is closed to traffic in the Plateau neighborhood as festivals take over the street. 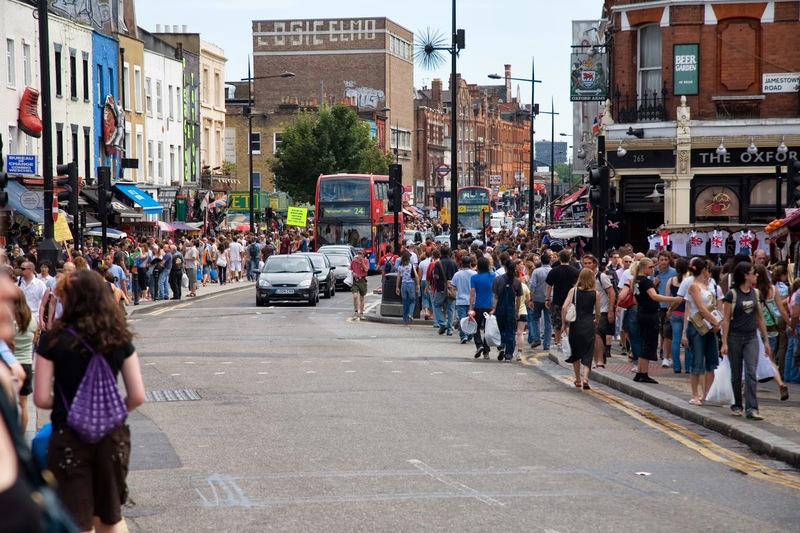 Camden Town throngs with locals, shoppers and tourists, no matter what the time or day of the week. Full of independent shops and markets, the streets are intertwined and pedestrian friendly, lined with old unique buildings, each one different from the next. Each street fosters new and unique experiences. Dozens of train and transit lines come here, with the main underground tube station right in the center of things. There is no dominating age group, race or gender, and if you wanted to meet people from every corner of the world in one day, Camden Town would be the place to do so. A tremendous variety of eateries, shops, markets, and cultural institutions can be found here, along with a huge number of pedestrians and people-watchers. 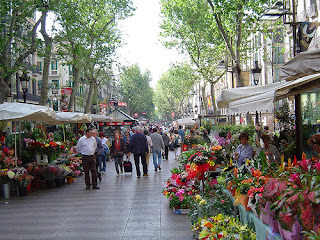 About 1.5 kilometers long, Las Ramblas is really a sequence of three pedestrian-oriented street/boulevards. Its central pedestrian promenade is unique in many respects, not the least being a clear aesthetic quality created by its pleasant proportions, relative to adjacent development. Landscaping and ample seating are two other big strengths. 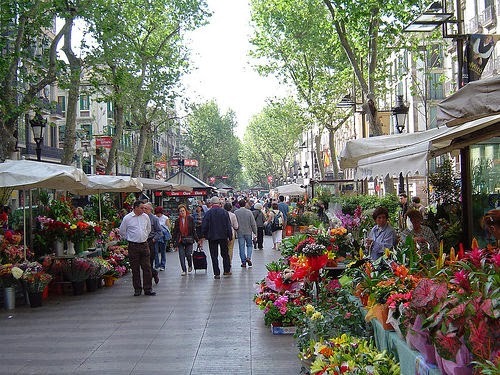 A mix of activities promotes diverse image and flexible character; Las Ramblas is universally seen as Barcelona’s most characteristic, most important, and best street. A huge number of different enterprises are in operation here — traditional retail, specialized vending, kiosk sales, markets and exchanges, fairs and exhibitions, shoe-shining, eateries and pubs, music and much more. 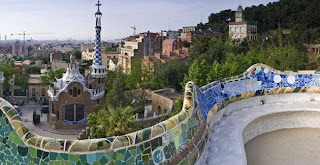 There are also a number of museums and cultural institutions. With richly ornamented Victorian and Edwardian commercial buildings as a backdrop, Buchanan Street is Glasgow’s grandest promenade and the true heart of the city. Along its length you’ll find numerous small shops, two shopping arcades, two major shopping centers, a museum and library, and a design centre. 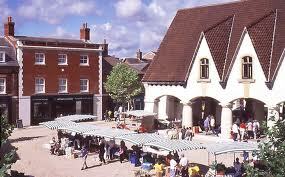 There are regular displays of street theatre and a monthly farmers market. In 2003 it was voted Scotland’s favorite street in a BBC/CABE poll. 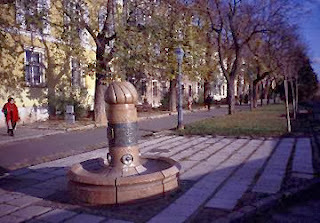 In summer 2004 it was awarded a Congress for New Urbanism award for excellence. Glaswegians are renowned for their friendliness and sense of humor. Buchanan Street epitomizes this and is a very convivial place. It is the city’s main promenade where people meet up to shop or socialize. The ratio of locals to tourists is well balanced. This main street is the meeting place and social center of Madison, connecting the University of Wisconsin campus and the Madison Capitol. It is vibrant and busy at all time of the day, week and year. The street is designed to be comfortable and accessible for all modes of transportation: pedestrian and bikes, trolley, bus and auto traffic. It is closed down for street fairs and other events, welcoming all ages and ethnic groups. It is an example of a wonderful “college town” main street that connects to the larger community and invites the community into the college’s public life. The shops and restaurants transition from student-oriented to more community-oriented as one approaches the Capitol. A farmers market surrounds the Capitol at the end of the street. Rue Mouffetard is a remnant of an old Roman road. Some buildings date from the 12th century, and many have distinct histories. In one sense, this street represents the history of Paris. 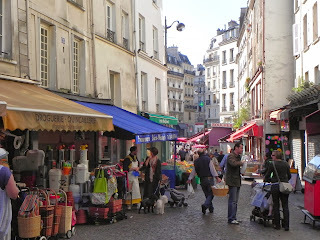 The market of Rue Mouffetard fills every morning as people come to do their daily shopping. Its vitality is reminiscent of a scene from the Middle Ages. After the market closes, restaurants open up, offering a wide variety of ethnic foods as well as traditional French food at cafes and creperies. Colorful images of local produce, quaint Parisian shops, and diverse crowds along with the constant chatter of market buyers and sellers create a wonderful and long-lasting impression. The minimal vehicle traffic and the presence of shop vendors add to the feeling of safety and comfort for pedestrians. 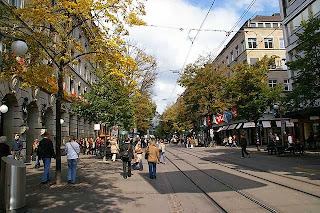 Bahnhofstrasse, which connects the main train station with the lakefront, is Zurich’s most famous and exclusive retail district. Individual retailers and high-end department stores sit side by side with art galleries, hotels, restaurants, renowned confectioners and Swiss bank headquarters, all of which draw a diverse crowd of locals and tourists alike. The real secret behind Bahnhofstrasse’s commercial success, and enduring appeal for the pedestrian. However, is likely its seamless integration of different transit modes, and the street’s hyper accessibility. Numerous tram lines service the Bahnhofstrasse, most of which interface at either end with rail, ferry, or bus. Private vehicles are prohibited for most of its length, while signaling and careful paving treatment ease their integration with bicyclists and pedestrians where permitted. Because of this restricted automobile access, the many pedestrian-only, cobblestone alleyways that lead onto the street, and the leisurely pace of window shoppers that stroll its sidewalks, Bahnhofstrasse feels largely like a comfortable, pedestrian boulevard. 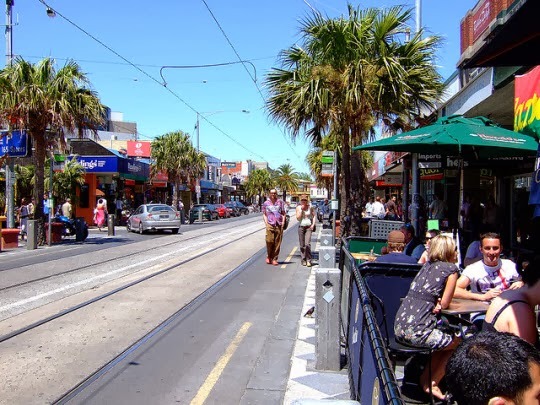 Acland Street has an intimate scale that brings pedestrians into close contact with its many cafes and street musicians, giving it the air of a bustling, linear party. Outdoor tables are prominent, and are often situated at the edge of the sidewalk, channeling passers by through cafes rather than around them; in this way pedestrians are integrated into the cafe scene, and are allowed a closer look at the wares displayed in the numerous bakery windows. Festive touches include a bold, checkerboard patterned sidewalk with decorative tile insets. Acland Street is a place of leisure. 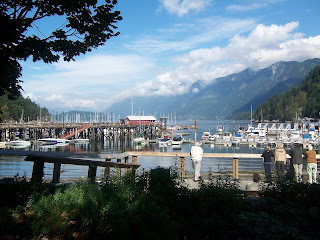 People go there to relax, socialize, and enjoy good food and music. "How to Design a Happier City"
"Charles Montgomery begins his new book, Happy City: Transforming Our Lives Through Urban Design, on a bicycle ride in Bogota, Colombia, with former mayor Enrique Peñalosa. While in office, Peñalosa implemented a number of policies quite progressive for that time and place. He scrapped plans for highways through the city. He built hundreds of miles of bike lanes. He made room for parks and pedestrian plazas. Peñalosa's goal, explains Montgomery, was to make Bogotans happier. Montgomery's goal with Happy City is equally ambitious: to document whether urban policy and design can really influence well-being. In this spirit of empirical discovery, Montgomery takes readers around the world in search of the places where urban design has (and has not) improved quality-of-life. He also leads us into the laboratories of behavioral scientists measuring which mindsets make happiness easier (or harder) to achieve. The result is a six-part "recipe" for urban happiness — challenging cities to promote joy, health, freedom, resilience, equity, and social connections. "Serious people have thought a lot about these issues," says Montgomery. "What I hoped to do with the book was to draw their thinking, some of their activism, and some of their research together into a coherent narrative." 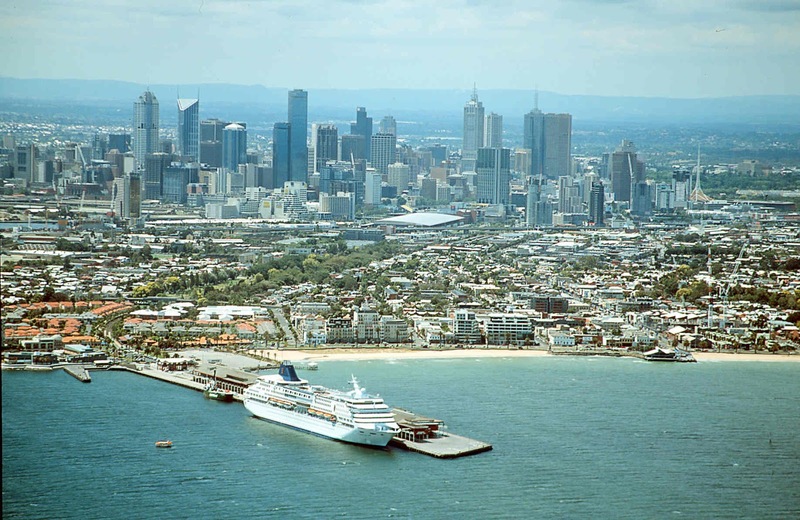 One of the big messages in the book is that a livable city is a happy one. I think they're almost synonymous. But I think the bigger point is that there are fear mongers out there who tell us that if we want to address the great challenges of our age — and I'm talking about climate change, resource scarcity, population — then we all have to put on a hair shirt. That we'll be dooming ourselves to years of deprivation. And they're wrong. At least when it comes to city-making. So the happy city, the low-carbon city, the green city, the city that will save us — they're all the same place. You point out a number of cognitive biases that explain the attraction to sprawl: things like the commuter paradox, in which people mistakenly think money will make up for a long drive to work. What can we do about these tendencies that seem built into our behavior? We pay too much attention to rewards we can see — like you mentioned, the house, the car — and too little the complex systems that shape our experiences. When it's experiences that matter the most. I think the most basic piece of advice is we'll all be better off if we understand that happiness is driven more by experience than things. If we build cities and if we make individual choices with that in mind, we may be able to nudge ourselves to design for experiences and human relationships, as opposed to systems that just enable more infrastructure. 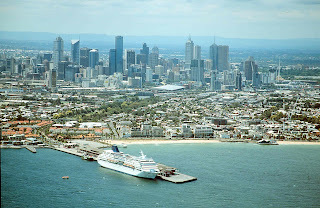 The happy city, the low-carbon city, the green city, they're all the same place. I was struck by how many small things a city can do to improve well-being. Putting in a small park. Carving out a pedestrian plaza. Yes, there is tremendous potential for intervention at the neighborhood level to enrich our lives. I'm thinking of the efforts of city repair in Portland. The idea is that back in the 90s, a bunch of neighbors marched out and turned their intersection into a piazza. It was such an ordeal to bring neighbors together, to network, to work together, to fight city hall, to build something new — the process itself created powerful new bonds of friendship and trust and conviviality. You praise mixed-use, little streetcar towns as a very satisfying social arrangement. What works so well about that design? I would say this is where Vancouver has something to teach the world, particularly American cities. Our streetcar neighborhoods — even without streetcars — are becoming increasingly vibrant and dense and fun without resorting to towers. So when people think of Vancouver, they think of our vertical downtown. But our streetcar neighborhoods have accommodated just as many new residents in these past couple decades. They've done it through gentle densification. More mixed-use low-rises along the arterials. I guess what's more notable is almost every house in neighborhood legally has the right to have a basement suite and a backyard rental cottage. That's three residences on every lot. You're probably getting 10 times the density per acre as you would in a typical American suburb. But it doesn't feel crowded. What elements would you select from various cities if you were going to build some kind of super happy city? 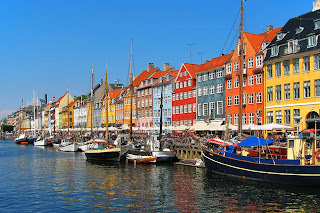 If you think of the social function of the happy city, I think Copenhagen succeeds. A great example is when the traffic planners realized that cyclists were having a hard time chatting on their way to work, so they made double-wide lanes. I think that the happy city, it's actually market rational, and a great example is in Vauban, in Germany. It's an experimental suburb of Freiberg. They internalized the external costs associated with car ownership. If you own a car in Vauban, you have to buy a parking spot at the edge of a village in a beautiful garage. Not only do many residents save money, but their days are infused with these convivial experiences of local walking. I was deeply moved by my experience in Davis, California. Where on N Street, neighbors just pulled down all their fences and agreed to share a super yard. They found it so spacious that they all applied and got the right to add more units to their homes, so more people could live there." "Bike, walk, ride: How to get around in the new green city"
"We reached "peak driving" in 2005, according to our new Green Dividend Report. Here's a round-up of what comes next - and how it's changing our cities. Walkable and transit-connected neighborhoods is gaining in popularity throughout the United States. In our recent Green Dividend Report, we calculated that Americans could save $31 billion a year by driving just one mile less per day than they do now. Our report shows the market forces that have led to the recent decline in driving – we found 2005 was the year of "peak driving" and the data clearly shows that per person driving has declined continually since then. It also explores the ways that we can further realize the Green Dividend (hint: cities and their walkable, bikable, and transit friendly neighborhoods are the key!). For years, the only way to measure commuting patterns was through household surveys. While that is changing with the increased use of social media sites such as Foursquare, GPS connected phones and automobiles, and even electronic public transit fare cards; surveys can still be a very useful tool because they tell us more about the individual and why they're moving about the city. Fletcher Foti, a UC Berkely planning Ph.D, collected commuter data from New York City, Los Angeles, and the San Francisco Bay Area. In The Atlantic Cities recent article, "An Intriguingly Detailed Animation of How People Move Around a City," you are able to see the commuting patterns in great detail. The animations are sortable by region and household income to allow the reader to see their movement throughout a typical 24-hour period. The maps also show the different modes of transportation to show greater detail of how people move through each city. Walking remains a choice for most Americans according to Jeff Speck, urban planner and author of Walkable City. In order to make a neighborhood more walkable, Speck recently shared his thoughts with the Sun Sentinel that residential housing is only the beginning. Speck contends that a walk through the neighborhood must be more interesting to the pedestrian than a drive. When we are able to achieve that, we "have begun to realize that the traditional neighborhood and particularly urban neighborhoods are much more sustainable environmentally, much more successful economically, and much, much better for us in terms of our health." Walk Score recently released the 2014 Rankings of the Most Walkable US Cities and Neighborhoods. These rankings are based on Walk Score's unique algorithm that analyzes over 10 million addresses in more than 10,000 neighborhoods. From their website, you can look at more than 2,500 cities and see the walkability rating of any address or neighborhood. It is measured on a scale of 0-100 and takes into account over 2 billion walking routes and neighborhood amenities such as grocery stores, restaurants, parks, and more. Is your neighborhood a "Walker's Paradise?" The Kansas City Downtown Streetcar Project isn't expected to open until mid-2015. However, Smart Growth America recently reported that the streetcar loop is already seeing an influx of private development. Already 33 development projects have been announced since last year when voters approved the streetcar, which will connect Kansas City's major entertainment districts. This map details where the new development projects are going to go along the new streetcar line. In its ambitious Downtown Area Plan - which aims to double the downtown population and employment - Rick User, Assistant City Manager for Small Business explains, "Our community members want pedestrian throughways and improved public transit to better connect the downtown area." Biking is another alternative to automobile commuting that has gained in popularity recently. American cities are reacting quickly by adding bike lanes, better signage, and more bike sharing locations. In a guest contribution to our blog, Christopher Berggren shared his experience living abroad and the lessons he brought back. 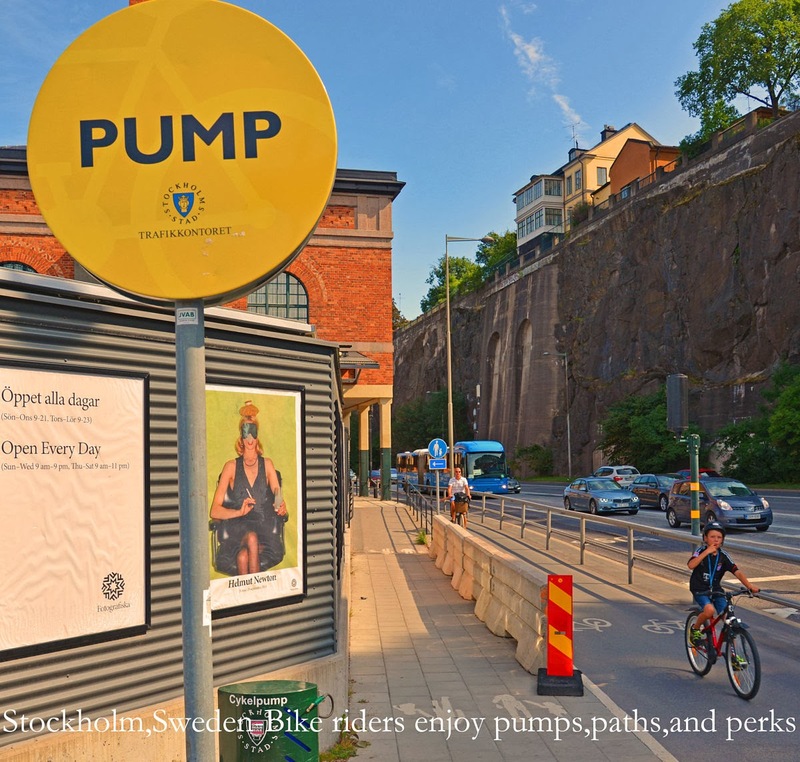 In Berggren's piece, "The Bicycle: The Simple Tool for 21st Century Urban Sustainability," he explores how bicycle commuting can help America address several societal problems including obesity, traffic gridlock, and isolated urban cores. Market incentives and changing consumer preferences are creating strong support for steps to reduce driving and earn the Green Dividend. More changes are to come as households are still in the process of adjusting their residential, commuting, shopping, and car ownership patterns in response to the dramatically rising gas prices in the past decade. As a result, a new generation of Americans is coming of age with fundamentally different attitudes about car ownership and urban living. It's important that we keep advancing the quantitative and qualitative analysis of commuting patterns." 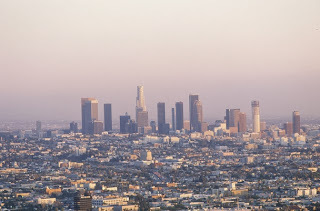 Los Angeles is famous for the layer of smog that's visible, miles away, from an approaching airplane. It looks like an even smear over the city, a low-lying haze that blankets every part of town equally. Smog, for the most part, is a regional phenomenon. But the fresh emissions that contribute to it, like pollution from the tailpipes of passing cars, permeate some neighborhoods much more than others. 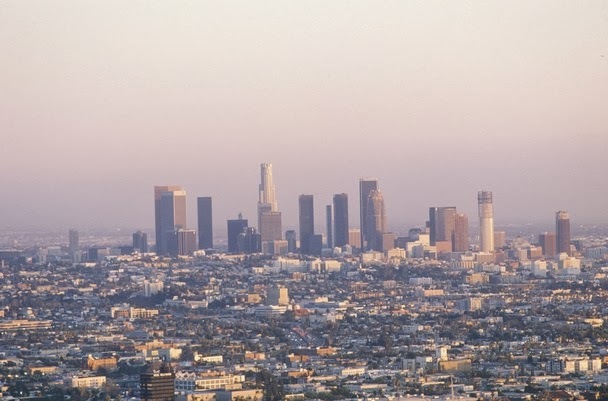 Even if you live in a smog-covered city like Los Angeles, in other words, exactly where you live influences your direct exposure to pollution. Researchers at UCLA and the California Air Resources Board recently illustrated this with a study of four neighborhoods throughout the metro area with varying socioeconomic status and proximity to transportation infrastructure. Neighborhoods hemmed in by highways and full of popular arterial roads had far greater concentrations of ultrafine particle pollutants. The Mar Vista neighborhood, which sits just downwind of the Santa Monica airport, fared the worst. The results, published in the journal Atmospheric Environment, underscore that pollution is in part a hyper-local phenomenon, with even starker differences than what you may have detected with your own nose. "The differences are pretty large," says Suzanne Paulson, the study's senior author and a professor in UCLA's Atmospheric and Oceanic Sciences Department. "It's probably larger than I would have expected, certainly in the case of the airport. Those levels are really astonishingly high." The differences stem from the local infrastructure – whether large numbers of diesel delivery trucks happen to pass through a community, whether it's veined with major roads (or saddled with a nearby airport). But socioeconomics matter, too. Wealthier communities, Paulson says, tend to own newer cars, which produce less pollution. "That seems to be a really big factor," she says. Stop signs also matter, because cars that are cruising along produce less pollution than vehicles accelerating from a stop. Counterintuitively, this means that stop signs may contribute to poorer air quality even as they make streets safer in other ways. The researchers measured these differences in pollution levels by driving a heavily instrumented electric car (producing no exhaust of its own) through these neighborhoods. Their results are now part of one broader puzzle trying to understand the link between transportation pollution and childhood asthma or heart health among the people who live most intimately with it. "Unfortunately, science is not at the point to be able to say, this level [of pollution] will produce this much increase in this particular health outcome," Paulson says. "So it’s really hard to get down to the level of basically risk assessment." These stark neighborhood-level differences in exposure, though, are not likely unique to L.A. The smog there may be particularly bad. "A lot of other places don’t have that," Paulson says. "But everybody has freeways and arterial roads and dirty trucks driving around. In fact, the vehicle fleet in California is probably cleaner than most vehicle fleets. In general, most places will experience this problem to one degree or another." "As Americans grapple with a wide range of societal problems like obesity and other health issues, traffic gridlock and reduced family time, and socially isolated city-centers, we might stop to ask how we got this way and how we can change. Having lived in Europe for three months last summer, I can speak for other Americans who have traveled to other locales and marveled at the high quality of living in those places – especially compared to the automobile-dependant, lifeless cities of the U.S. How we got to be a largely car-dependant, unhealthy society has to do with the early surrender of our cities to cars without the balancing mechanism of maintaining our streetcar and bicycle modes, which had been prominent in nearly all American towns of more than 10,000 people up until the 1930’s. Today, several European cities, most notably Amsterdam and Copenhagen, have become models in the utilization of the simple bicycle as a major tool in the restoring of transportation balance and sustainability to their urban fabrics. In Denmark, tax-payer funded universal health care has spurred promotion and investment in bike usage, since the health benefits of bike usage are well known and accepted. One study found a 30% reduction in mortality among adults who commute to work by bicycle. The city of Copenhagen estimates that $100 million is saved annually through health care savings, which doesn’t even take into account societal gains from increased productivity from a healthier work force, with additional savings from less road maintenance and congestion. 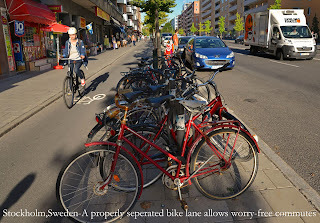 In Copenhagen, the cost of building grade-separated bikeways is about $2 million per mile per side, which is fully paid for in five years: the city’s economic impact study estimates that every mile cycled yields a net gain for society of 21 cents, compared to a net loss of 12 cents per mile driven by car. These figures include both savings in the public sector and the rise in private sector economic activity. 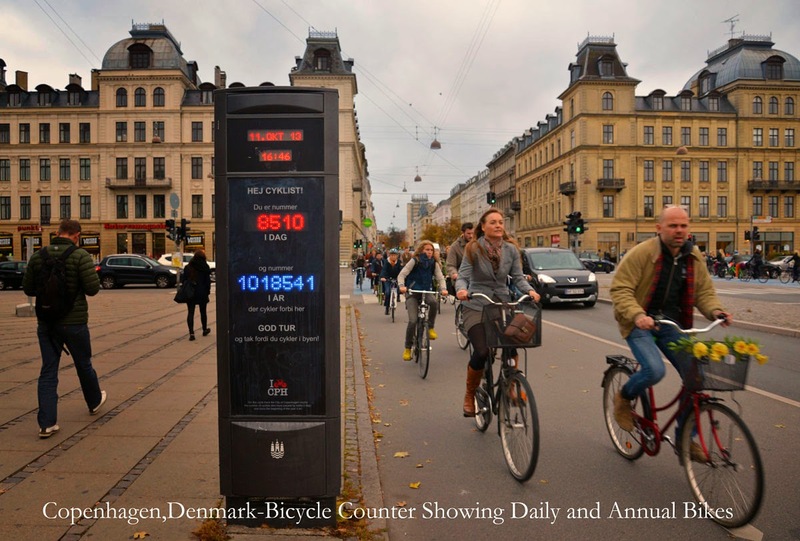 Today, more people bike to work in greater Copenhagen than in the whole of the United States, with commuters riding an average of 3 ½ miles each way. Over the past 30 years, the city of Copenhagen has gradually removed car-parking and road space, effectively clearing the way for bike infrastructure. In the Netherlands, where the culture of the bicycle is perhaps the most inclusive of any country in the world, there is a public-private organization called the Dutch Cycling Embassy that capitalizes on the acclaimed Dutch model of urban transportation. 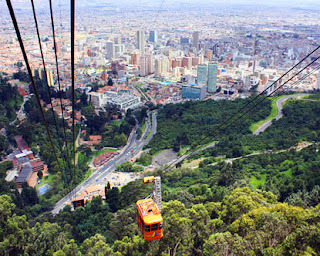 It promotes urban mobility to business and government leaders from around the world, who are concerned because of urbanization and the need to revitalize cities, and the necessity of sustainability in transit solutions. The Dutch have first-hand experience of the bikes’ direct contribution to better health and urban livability, road safety, cleaner air, improved traffic flow, decreased social isolation, and an improved economy. In America, making the bike a viable form of transit by building infrastructure conforming to code involves recasting bicycle users as regular citizens, as opposed to “cyclists’, who are seen as composing a sub-culture. The Danish consulting firm Copenhagenize advises cities on how to bring about positive imaging of bikes and urban mobility through behavior and marketing campaigns, and their very name stands for the concept of making cities more livable through the development of “complete streets” - which happens to be the name of an American non-profit organization and movement – itself responsible for some gains in U.S. cities. As our cities struggle with declining state and federal funds, empty sidewalks, and questions of how and where to best accommodate new growth, leaders are beginning to look for models for sustainable development. For value-driven solutions, they need look no further than the popular tourist centers of Amsterdam and Copenhagen. Like many U.S. cities, these cities have a limited land mass in which they can effectively grow. And while numerous cities here in the U.S. have large areas in which to accommodate future growth, in reality they can only achieve long-term vitality by centering development within existing, built-up areas. Today’s singles and young families desire meaningful town life that allows them to walk or bike on safe paths through downtowns stocked with shops, entertainment, and urban amenities. As the Dutch and Danish urban models have demonstrated, substantial numbers of people would ride bikes routinely if proper and extensive tracks were incorporated into our cities. The simple bike can unlock the door to smart-growth in America, without compromising our love affair with cars." "Walking down rue Cler makes me feel like I must have been a poodle in a previous life. It's a cobbled pedestrian street lined with shops run by people who've found their niche...boys who grew up on quiche. Aproned fruit stall attendants coax doll-like girls into trying their cherries. And ladies, after a lifetime of baguette munching, debate the merits of the street's rival boulangeries. Shopping for groceries is an integral part of everyday life here. Parisians shop almost daily for three good reasons: Refrigerators are small (tiny kitchens), produce must be fresh, and it's an important social event. 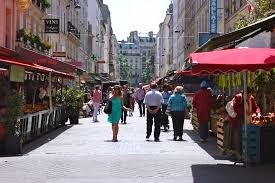 Shopping is a chance to hear about the butcher's vacation plans, see photos of the florist's new grandchild, relax over un café, and kiss the cheeks of friends (the French standard is twice for regular acquaintances, three times for friends you haven't seen in a while). If you wish to learn the fine art of living Parisian-style, rue Cler provides an excellent classroom. And if you want to assemble the ultimate French picnic, there's no better place. 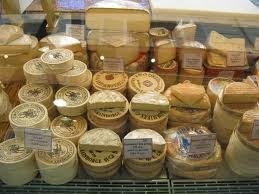 This is the only walking tour in the Rick Steves' Paris guidebook you should start hungry. 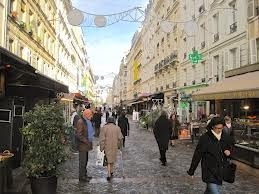 Do this walk at the start of your Paris visit, as it provides a helpful orientation to the local culture. And visit when the market is open and lively. Remember that these shops are busy serving regular customers. Be polite and careful not to get in the way. Start your walk where the pedestrian section of rue Cler begins, at rue de Grenelle." "How to make a city great"
"What makes a great city? It is a pressing question because by 2030, 5 billion people—60 percent of the world’s population—will live in cities, compared with 3.6 billion today, turbocharging the world’s economic growth. Leaders in developing nations must cope with urbanization on an unprecedented scale, while those in developed ones wrestle with aging infrastructures and stretched budgets. All are fighting to secure or maintain the competitiveness of their cities and the livelihoods of the people who live in them. And all are aware of the environmental legacy they will leave if they fail to find more sustainable, resource-efficient ways of managing these cities. Mayors are only too aware that their tenure will be limited. But if longer-term plans are articulated—and gain popular support because of short-term successes—leaders can start a virtuous cycle that sustains and encourages a great urban environment." In UK, Environment Agency is the entity that " forecast floods and warn the public." It also raise awareness of flooding in areas prone to it, and recommend that people living there make preparations in advance. It use's the latest technology 24 hours a day to monitor rainfall, river levels, groundwater levels and sea conditions. Combined with weather data and tidal reports from the Met Office, it can provide local area forecasts on the possibility of flooding and its likely severity. The operational teams remain on standby to determine which of defences to operate and when, working round-the-clock until the threat of flooding has passed. It issue's three different kinds of flood warnings: Flood Alert, Flood Warning and Severe Flood Warning. 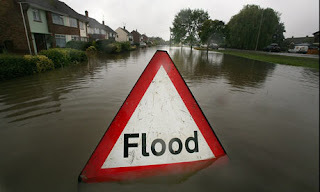 Flood risk is not just the likelihood of flooding, but the possible damage a flood could do as well. We need to know both the probability of a flood occurring and the severity of any impact (which may change depending on how extreme the flood is). Then we can describe what the risk is for a particular area. the impact on the people, land and property affected by flooding. This includes physical, emotional, social or economic harm. Risk assessments establish the nature and scale of the existing risk, and how this may change over time or as a result of any flood risk management measures we put in place. Fundamental to the development was to ensure that it fitted appropriately into its geographic and cultural context. 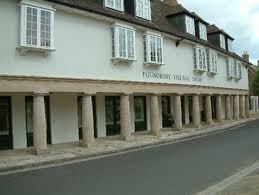 Poundbury was intended to genuinely reflect the character of traditional Dorset towns, particularly Dorchester, the small County town to which it is connected. 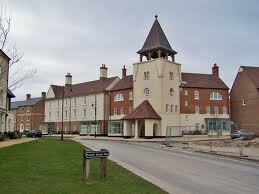 Traditional materials, construction methods, window, door and roof detailing were all modeled after existing patterns. Streets and squares are designed for the pedestrian scale, and subtle traffic calming devices are in place – paving stones to mark transitions, raised platforms, short jogged streets, and roundabouts at major intersections. 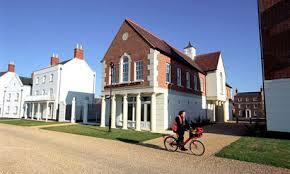 Poundbury has already proved extremely successful in the visual aspects of architecture and urban design, in it human scale, use of traditional materials and architectural forms, and ecologically sustainable features. Many real cities around the world make the grade on lists fo amazing "green" cities,compiled annually by experts. Model cities are ranked by a combination of criteria. 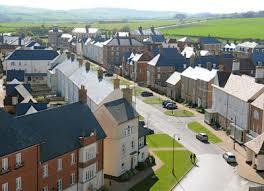 These include urban planning and environmental statistics. They encompass energy sources, consumption and emissions, as well as transportation options and habits. Most lists also make note of green living (such as the availability of public parks, green jobs and sustainable buildings) and green perspective (such as recycling). It's uniquely challenging for urban areas to be green. They have a high volume of people, traffic congestion, trash and air pollution to name just a few obstacles. Seventy-five percent of the world's energy is consumed by the world's cities. Green cities have to strike a balance of managing their current needs without compromising the city's (and environment's) future. In this article, we'll look at five amazing cities known around the world not only for their adoption of green practices but also for their green innovation and leadership. For many cities, the question of ecologizing infrastructure means tearing down the old and bringing in the new -- a costly and sometimes bewildering prospect. But after World War II, Freiburg was one of many German cities that were able to find the good in the aftermath of destruction. 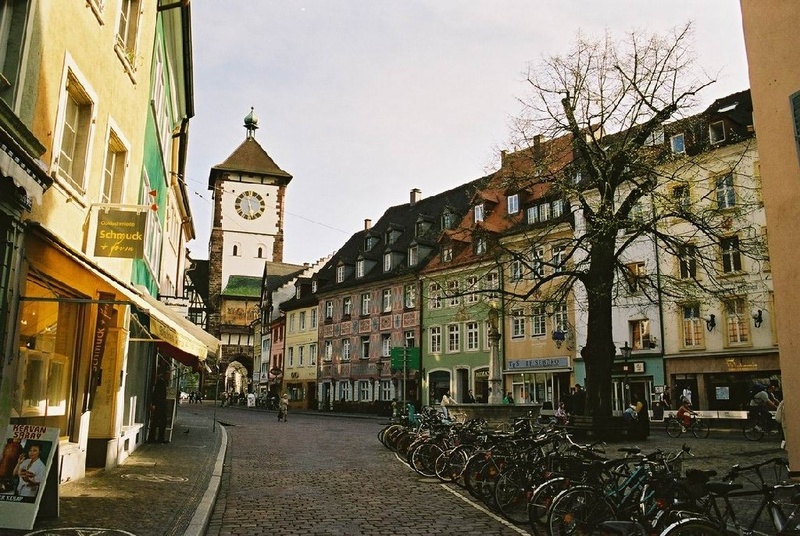 A community of educators and professionals, the post-war period found Freiburg and Munster competing to rebuild along the most sustainable principles. Freiburg continues to rank as a green city, with a particularly German flair for engineering and planning, social cooperation and profit. From cycling incentives to solar paneling (on as many as 50 percent of the roofs in some districts), the city has continually rebuilt itself as greenly as possible. By creating a situation in which citizens are committed stakeholders -- as is the case with most of the cities on this list -- the green movement is a natural part of daily life. Some districts are created and supported by multiple-family flats, designed and built by the families that live there along environmental principles. The latest development is the "passive house," which uses ingenious ducting and insulation to remove the need for heating and air conditioning of any kind. Costing 10 percent more to build at the outset, the passive house construction reduces energy loss and bills by 90 percent. The planning for Barcelona's shining achievement in ecology and urban design, the Eixample District, goes back as far as 1859. The human-centered design of this garden-city oasis, which spans 520 city blocks, continues to grow and change, and to inspire urban planners the world over. As well, transportation in and between Spain's major cities has helped to turn the once-deadly air in Barcelona into a standard-setting, continually improving ecological area. It's estimated that by 2020, 90 percent of all Spanish citizens will live within 31 miles (49.9 kilometers) of a high-speed rail station. That will cut down on commutes as well as regular urban and rural traffic, and will tie the whole of the country to its urban hearts. Public buses, both in the cities and outside, run on electric power, bio-diesel and ethanol. Barcelona's also famous for its recycling initiative, with color-coded and ubiquitous bins everywhere throughout the city. Taking an already successful plan to the next level, planners more recently began streamlining the process by providing corresponding bags to make recycling even easier for its citizens. In 2006, more than one-third of the city's total waste was recycled. 1. Provide a long-term vision for cities based on: sustainability; intergenerational, social, economic and political equity; and their individuality. This principle is intended, in part, to keep away the fears of globalization and Cold War uniformity that some public works can raise. 2. Achieve long-term economic and social security. This principle applies to natural human rights, specifically the basics needed for a healthy life, such as clean water, shelter, food and sanitation. 3. Recognize the intrinsic value of biodiversity and natural ecosystems, and protect and restore them. 4. Enable communities to minimize their ecological footprint. 5. Build on the characteristics of ecosystems in the development and nurturing of healthy and sustainable cities. The way natural ecosystems operate can often inspire the most long-term development options. 6. Recognize and build on the distinctive characteristics of cities, including their human and cultural values, history and natural systems. People are naturally more likely to follow through on initiatives which make sense within their culture. 7. Empower people and foster participation. 8. Expand and enable cooperative networks to work towards a common, sustainable future. 9. Promote sustainable production and consumption, through appropriate use of environmentally sound technologies and effective demand management. 10. Enable continual improvement, based on accountability, transparency and good governance. Enrique Peñalosa, the former Mayor of Bogotá, is still justly lauded for the many initiatives and creative problem-solving ideas he made popular during his time in office. A Duke University graduate in economics and a lover of capitalism, Peñalosa nonetheless created change based on a philosophy of "hedonics" -- he brought about change through planning around human happiness, rather than economic growth. For one example, Peñalosa was offered a huge endowment for roads, and instead he used this money to set up a bus system. He revitalized green spaces by overhauling the bike paths in the city, saying, "A bikeway is a symbol that shows that a citizen on a $30 bicycle is equally important as a citizen on a $30,000 car" . He also promoted designing for children as a first priority, intuiting that a city successful for children would be successful for everyone. Curitiba contractors get tax incentives when their projects include green areas, but the urban ecological concern goes a lot deeper than that. The city built lakes and parks not only for its citizens' enjoyment, but in order to solve the problem of ongoing floods. 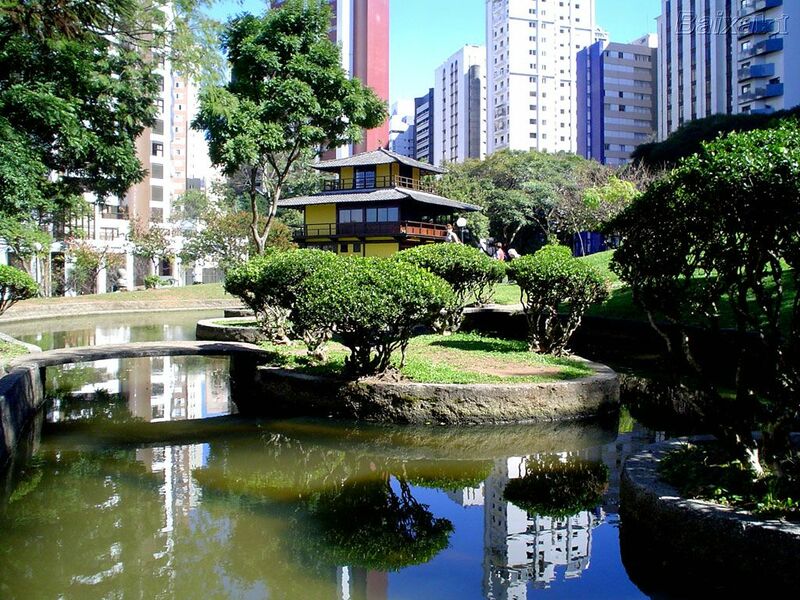 Made up of almost 30 parks and urban forests, Curitiba has managed in just 30 years to increase the green space average from one square meter per citizen to 52, and continues to improve. 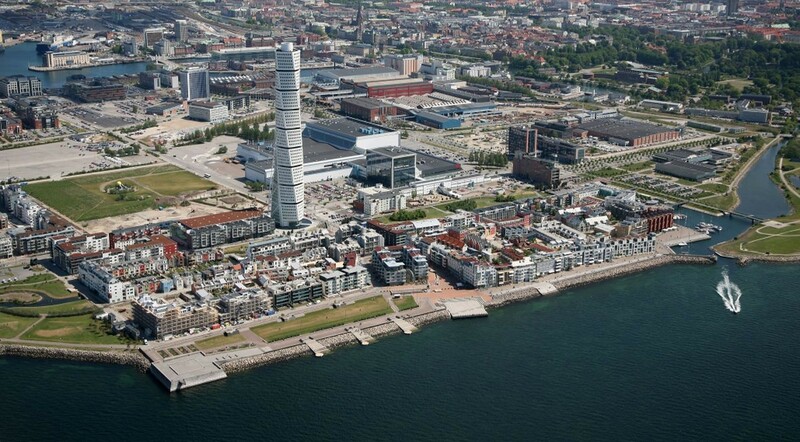 Malmö is home to about 280,000 people, making it the third largest city in Sweden. 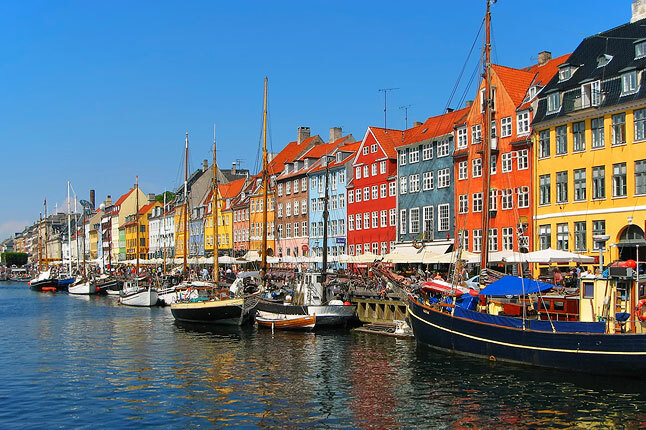 It lies in the Southern province of Skane and is composed of canals, beaches, parks, harbor and blocks that still retain the look and feel of the Middle Ages. But it's not the Middle Age aesthetic that lands it on this list. 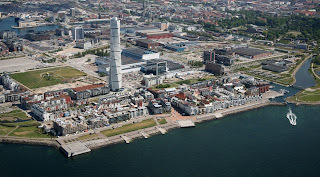 Rather, it's Malmö's innovative use of renewable resources and its goal to become a leading eco-city. Western Harbour, a former shipyard now densely urban, runs on 100-percent renewable energy from sun, wind and hydropower, as well as biofuels generated from organic waste. Its buildings are constructed with sustainable materials and designed to be energy efficient, and its streets are pedestrian and cycle friendly -- 40 percent of commuters and 30 percent of all travelers go by bike. The 1.7 million people living in Copenhagen are known for eschewing cars for bikes or the metro system, but green transportation is only part of the city's eco-friendly urban plan. In 2006, Copenhagen won the European Environmental Award for its clean waterways and leadership in environmental planning. The city is lauded for its efforts over the last 10 years to keep its harbor waters safe and clean. Officials invested in a water quality warning system to monitor pollution levels. Additionally, Copenhagen is famous for its windmills. More than 5,600 windmills supply 10 percent of Denmark's electricity; and in 2001, Copenhagen opened the world's largest offshore windmill park. The new park is able to power about 32,000 homes in the city, supplying about 3 percent of the city's energy needs. Portland lies on the banks of the Willamette River in the Pacific Northwest and is home to more than 500,000 people. It's been a model of sustainable living for decades, smartly mixing urban and outdoor spaces. 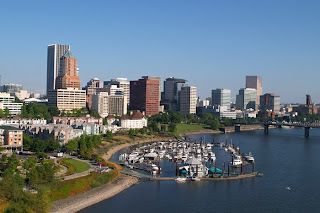 Today Portland has roughly 92,000 acres of green space, including 74 miles (119 km) of biking, hiking and running trails, and has enacted an urban-growth boundary to contain the urban landscape and protect 25 million acres of forest and farms. Vancouver is a coastal city, home to more than 560,000 people, and was named the world's most livable city by the Economist magazine. It's proved to be not only the most livable, but also Canada's model for using renewable energy sources. The city already leads the world in hydroelectric energy, which currently makes up 90 percent of its power supply. It also plans to reduce its greenhouse gas emissions to levels 20 percent lower than reported in 1990 during the formation of the Kyoto Protocol. Additionally as part of its energy-efficient plans, Vancouver hasn't been shy with implementing emerging technologies. Solar-powered trash compactors have sprung up around the city, each the size equivalent to a normal trashcan but able to hold five times the waste (which puts fewer emissions-spewing garbage trucks on the roads). 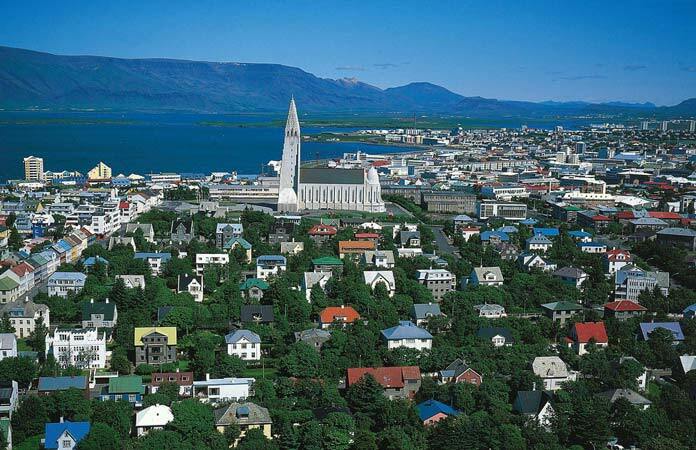 Reykjavik is the smallest amazing green city on our list, with only about 115,000 people living in the city and roughly 300,000 people in the entire country of Iceland. But its impact on the world has been impressive. Iceland plans to unplug itself from all dependence on fossil fuels by 2050 to become a hydrogen economy. 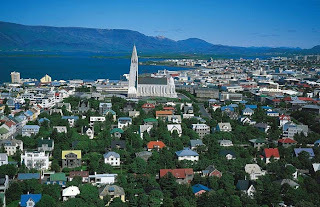 Already, Reykjavik (and all of Iceland) gets energy for heat, hot water and electricity entirely from hydropowerand geothermal resources -- both of which are renewable and free of greenhouse gas emissions. Some vehicles even run on hydrogen, including three city buses.